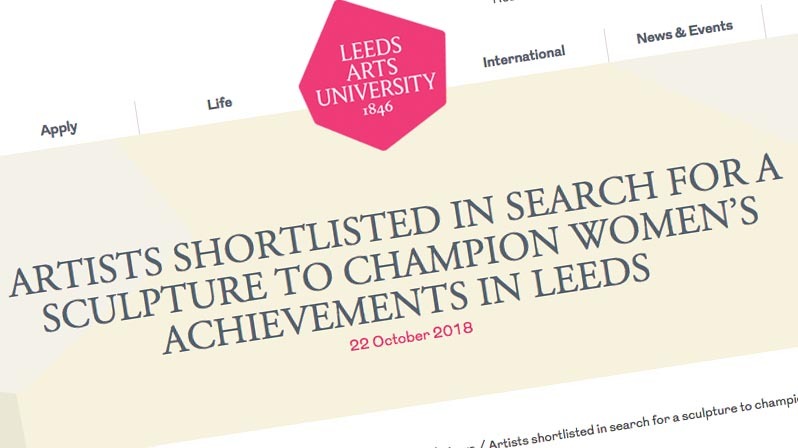 I’m really chuffed to have been shortlisted for a major new commission in Leeds that seeks to redress the gender imbalance of public sculpture in the city. The project has been conceived by Rachel Reeves (MP Leeds West) working with Leeds Arts University in collaboration with Leeds City Council. Check out the story in the Yorkshire Evening Post or on the University’s website.